New Wearable Solution Targets the Elderly, Lone Workers and Others Concerned with the Safety of Their Workforces. 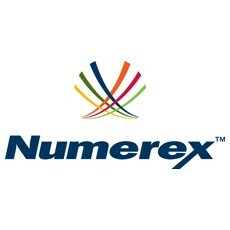 Numerex Corp, a leading provider of interactive and on-demand machine-to-machine (M2M) products and technology enabling the Internet of Things (IoT), today announced the release of mySHIELD™ , a mobile personal emergency response (mPERS) system deployed as a wearable device to enhance the safety of lone workers, the elderly, and others. Built on Numerex’s versatile platform , mySHIELD is a valuable tool to help ensure the safety of workers in the real estate, healthcare, educational, security, energy, and other industries where people often work alone, or are likely to find themselves in potentially vulnerable situations where their safety could be jeopardized. 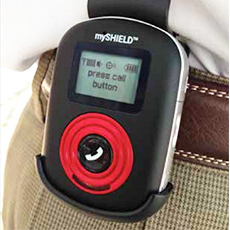 Numerex’s cloud-based mySHIELD solution utilizes two-way, voice-enabled, cellular technology. The mySHIELD device, connected by Verizon, works both indoors and outdoors. With a simple push of a panic button, users can easily communicate their need for immediate assistance, transmit their precise location, and speak to a live attendant in a call-center staffed 24/7/365. mySHIELD solution operates anywhere across North America that the Verizon network is available. So, users are not required to be within certain distance of a base station. In addition, the solution supports logical grouping of users. Unlike most other mPERS offerings, mySHIELD can combine multiple users into groups and sub-groups. That is, a company deploying the solution can have multiple groupings of monitored users based on their organization’s requirements. Also, companies can specify sub-groups and can assign users to particular managers. This allows managers to view users for which they are individually responsible. This key feature would allow a company administrator or authorized supervisor, for instance, to view the location and status of all mySHIELD equipped associates, or just those assigned to a particular manager or location. This feature is expected to be of interest to school districts, convenience store chains, and healthcare facilities—anywhere it is desirable to view the status of all users together, or those in logical groups, sub-groups, or as individuals. Available in multiple languages, the mySHIELD solution provides a dashboard that enables administrators to locate users with mapped views, and to schedule automated alerts and notifications via email and text messaging.